X …. ok, X marks the spot! As my eye doctor says, “Better one? Better two?” What say you? Got some more goodies ahead for the letter Y….Enjoy the rest of the weekend dance! It’s always fun to think about what happens with negative space. I like the 2nd with negative space too. 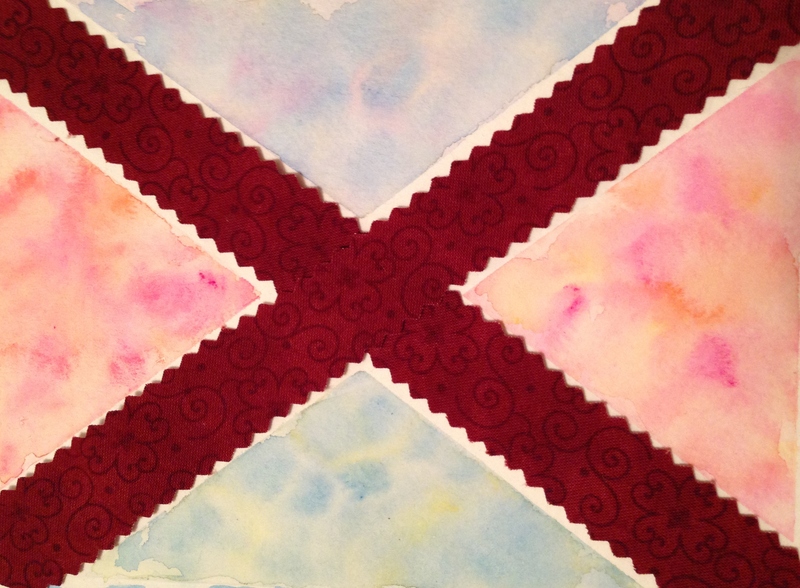 The fabric color is so strong it dilutes the effect of the watercolor. 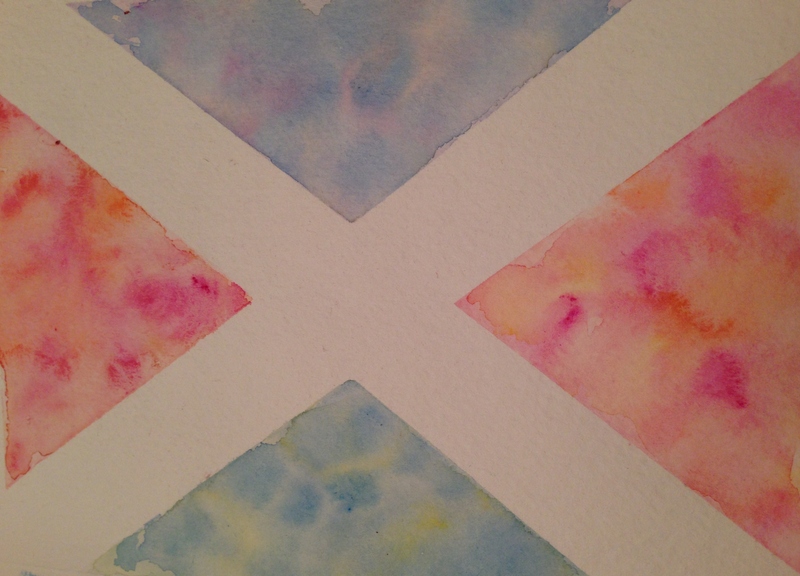 I think the texture of the watercolor is a good contrast to the smooth x.
I like the idea of fabric too. Maybe start with the fabric? and build the drawing/painting around it. That’d make much more sense! I’ll do that next time. Thank you! I like the one with the fabric, in my view it´s a little more interesting. Using an orange one is maybe really a good idea. But this one is nice too because of its beautiful pattern! Thanks, I’d like to try this again, but choose the fabric first and let the fabric dictate the watercolor colors. I’m glad you like it!